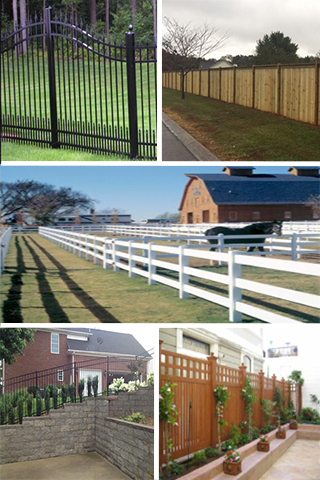 Welcome to Spring Hill’s leading fencing company, Middle Tennessee Fence. For over a decade we have been installing high quality fencing in the Spring Hill area for local homeowners. As the #1 Spring Hill fencing company, we have the largest selection of fence styles and fence materials to choose from. We also have the best fencing prices around so that more of your hard earned money stays in your pocket! Not sure of what type of fence you need or want? Our design professionals will meet with you one on one to help you choose the best fence material and fencing style for your property. From typical residental size yards to farms of over 100 acres, we can install fencing on any property. Call us today to find out for yourself why we are considered the leading Spring Hill fencing company. Our fencing contractors are simply the best. Fencing of any kind has its benefits, from increased curb appeal, protecting your children and pets from unsafe areas, to helping protect your family from intruders. We will work with you to help you decide what is the best type of fencing for your Spring Hill home. Wood fencing is the leading style of fencing today. Also called Privacy Fencing, wood fencing can be designed to suit any taste, can be built in any style to match your landscaping, and can be stained virtually any color. Wood fencing is a very reliable fencing style and can last for many years with minimal care. It’s very affordable, has many options and looks great. Ornamental Aluminum fencing is another popular fence style in Spring Hill. We can build it on any property, whether you want it for marking property boundaries or for pool fencing, aluminum fencing is a great economical choice for fencing any Spring Hill home. Aluminum fencing is available in many styles and colors- so call us today for a FREE QUOTE. Chain link fencing has been around for ever and is very popular around the country, including Spring Hill. Today chain link fencing is available in different sizes, guages and colors. Great for yards and for businesses too, call us to discuss your chain link fence needs. We can install fence gates for any types of fence. Today, more and more home owners are opting for the automatic electric fence gates for their Spring Hill homes. We offer a variety of models of electric fence gates including solar powered, keyless entries, key readers, and more. Spring Hill has many farm areas, and farm fencing is ideal for your large, open spaces that need fencing. Whether you have a couple of acres or 100 acres, let Middle Tennessee Fence install your farm fencing for you.